Soon after the mega Parade was over, the blue sky disappeared again over the Tiananmen Square; pollution returned to the Chinese capital, so did President Xi Jinping’s headaches. Xi will have to forget the glamour of the Grand Parade and deal again with the fluctuating stock exchanges, the poor figures of the Chinese economy and the ‘reforms’ not only in the financial sector, but also of the People’s Liberation Army (PLA). Has China learnt the lessons of History? The problem is that Xi and his colleagues would like others to learn their lessons, as for them, China has always been on the right side of the history. The profession demands a younger profile, whereas due to the narrow pyramid of promotional avenues, the age profile in various command assignments continues to soar upwards, notwithstanding the Ajai Vikram Singh Committee report. There are now six to seven Lieutenant Colonels / Colonels in a major unit. If we continue in the same manner, we will end up very soon having units commanded by Brigadiers. Instead of addressing the core issues, we try to push the main problem under the carpet. Instead of tackling the basic problem on a long-term basis, we end up carrying out up gradations giving temporary relief. This has resulted in an upside down pyramid, which means chaos and instability. 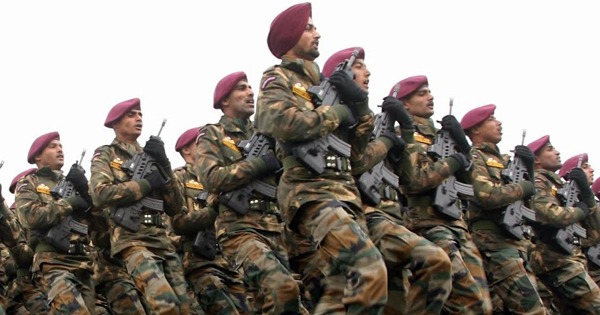 Quoting Central Police Organisations (CPOs), Central Para Military Forces (CPMF), State Police Force or State Armed Police, example of having a top-heavy rank structure is not going to solve the problem of an ageing profile of the Defence Forces in any way. The aim of this very exercise is not achieved, as there has been a marginal reduction in age profile in command assignments. Even the life expectancy in our country continues to soar upwards, further compounding and complicating the problem. The trend, therefore, is to keep increasing the average age up the ladder with a view to give employment till as late in life as is possible. On the face of it, it looks good but it militates against the needs of the job content. India’s food safety crisis is indicative of bureaucratic failures. 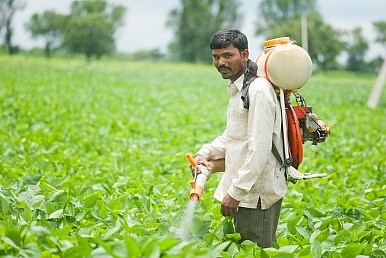 Food safety is a serious public health concern in the world’s two most populous countries, China and India. In both countries, the challenges of feeding a large, geographically dispersed population, millions of whom are poor and malnourished, are immense. This has led to the proliferation of illegal, dishonest, and bootleg suppliers and slipshod government policies. The results are detrimental to public health, particularly for vulnerable communities. These crises further compromise international perceptions, indicating poor governance, weak political will, inadequate policies and lax enforcement. The path to development is not exclusively about economic growth, jobs, and infrastructure. Clear and consistent food regulatory policy, and their implementation are both imperative for growth and the inherent responsibility of responsible and progressive governments. 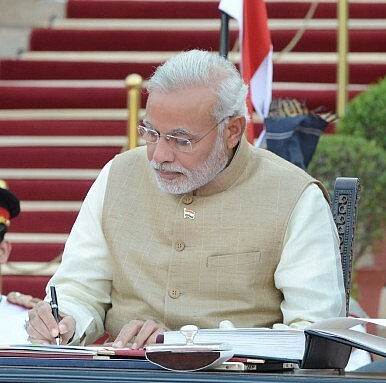 The Narendra Modi government’s economic reform agenda still remains far from gaining national consensus in India. Millions still nurture deep-seated doubts about the intent and impact of new economic policies. It was this entrenched skepticism and fear that drove millions of workers from different sectors of the economy to go on a day-long strike earlier this week. Some 150 million workers, representing ten trade unions including ones from the banking, manufacturing, and construction sectors observed a strike on September 2, asking the government to slow the pace of and even reverse some of its economic policy reforms. The shutdown comes at a time when the Indian government has been struggling to implement new economic reforms due to parliamentary and political opposition. It also comes at a time when there is a genuine fear in India of an economic slowdown in the wake of trouble in the Chinese economy. One doesn’t have to look far to find some curious facts about street names. Balbo Drive in Chicago is named after a fascist politician, Mussolini’s aide Italo Balbo. In Warsaw, a street bearing the name Ludwik Kondratowicz, a Polish 19th century poet, is not far from a street named after Władysław Syrokomla, even though Syrokomla was Kondratowicz’s nom-de-plume. And in the capital of India, Aurangzeb Road meets Aurangzeb Lane. This last example, however, may soon change. 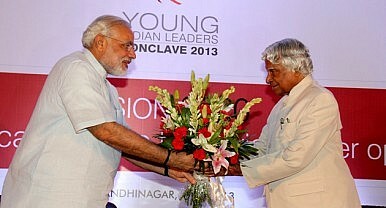 On August 28, the New Delhi Municipal Council decided to change the name Aurangzeb Road to APJ Kalam Road. Aurangzeb (1618-1707) was a Mughal emperor, while the recently departed APJ Abdul Kalam (1931-2015) was a scientist and president of India. The decision, which comes from the ruling Hindu nationalist Bharatiya Janata Party, is a carefully considered act of politics, as both the street and its new patron have been carefully chosen. J&K is an integral part of India. The only problem that can be called J&K Problem is the non- comprehension by India, its people and the government to this ultimate truth of its being the integral part of India and not distinct or separate entity in any way from the other states of India. The problem that would remain to be settled then is the need to free the areas of J&K illegally occupied by Pakistan and China. Once this fact is understood and fully comprehended by us, all else will fall in place. The very recent assurance on "One Rank One Pension", or OROP as it is colloquially known, by Defence Minister Manohar Parrikar should calm some nerves. 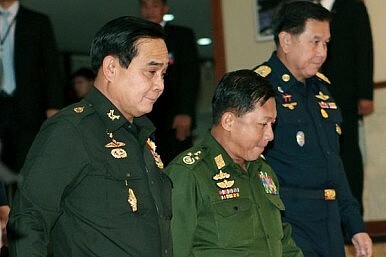 The Minister, by now known for his sensitive and humane approach, reassured military veterans that he staunchly stood behind the promise made by the Government on the subject time and again, including by the Prime Minister. A case is hence definitely made out not to read too much into the negativity floating around in the environment on the subject. Why OROP for soldiers some may ask! Common sense is all that is required to fathom that the current cost of living equally applies to a military veteran who retired say 15 years back vis-a-vis the one who retires today in the same rank. When both go out to the grocer, they pay the same price for atta that they buy, they pay the same for the vegetables, which feed their families, they are also expected to maintain a similar level of daily life, so why the sharp difference in their pensions? A stirring account of an Indian mission during the 1965 war. Wheat is ripening in the fields – a dazzling sea of gold – and, from my window seat in the Shatabdi Express that is chugging its way to Jaipur, I can see women in fluorescent saris hard at work, cutting and stacking it up in neat piles. I’m on my way to meet Lt Col Hari Ram Janu (Retd), SM, of 4 Grenadiers. We spend the day in his Ambabari house where the seventy-two-year-old retired Colonel sifts through his memories and old black-and-white photographs of the war, and nostalgically remembers comrades lost and those still living. It was fifty years ago that he and his men fought the Battle of Asal Uttar, he says with a faraway look in his eyes. And then, in a conversation that stretches across a few hours, broken only by a traditional Rajasthani lunch, he tells me the unbelievable story of a battle where foot soldiers took on the mighty Patton tanks that America had so famously bragged could not be destroyed by anything in the world. “We proved them wrong,” the septuagenarian chuckles softly, showing me a crumbling old photograph where he stands atop a captured Patton, arms akimbo. With Senator Barbara Mikulski (D-MD) having now announced her supportfor the U.S.-Iran nuclear agreement, President Obama has thirty-four senators in favor, making the deal all but done. Beyond its main purpose, the agreement with Iran affords us a historic opportunity to get right what we’ve gotten wrong in Afghanistan ever since September 11. When we went into Afghanistan in the aftermath of the attacks, we chose to rely on the one country least likely to help us win: Pakistan. Our dependence upon Pakistan to supply the war effort allowed it to play a double game that has cost the lives of thousands of American troops and many more Afghans. Some U.S. officials counter that we had no alternative. Actually, we may have: Iran. Iran’s then president Mohammad Khatami strongly supported the war and our efforts to rehabilitate Afghanistan. The Iranians helped us strategize on Afghanistan at the Bonn conference in December 2001, and even insisted upon putting the word “democracy” in Afghanistan’s constitution. Amid calls by the Group of Twenty (G20) for nations to refrain from “competitive devaluations,” new research suggests that cheapening the currency is a lose-lose policy. Will Asia learn the lesson in time to prevent more self-inflicted damage? 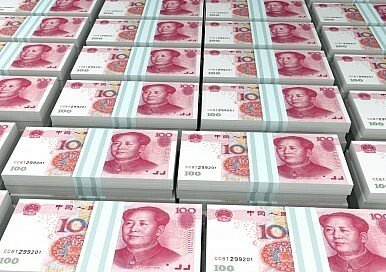 Beijing’s surprise move last month to devalue its currency in the wake of concerns over slowing growth caused the yuan to post its biggest drop against the U.S. dollar in a decade, with the turmoil spreading to other emerging market currencies, exacerbated by the threat of rising U.S. interest rates. A Chinese born naturalized American citizen (Wei Chen) has been arrested and charged with copying secret files from a Department of Defense network to a thumb drive while employed as a U.S. Army Systems Administrator in Kuwait. 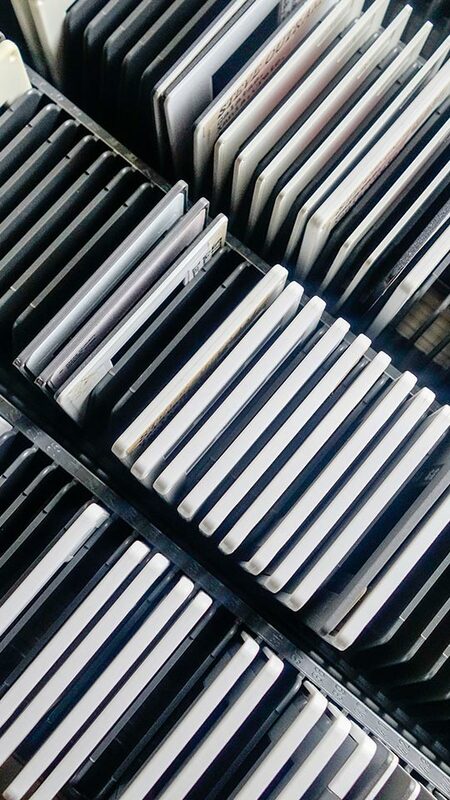 Chen tried to conceal the illegal copying by editing the system logs he had access to. But new security procedures, put into place since several high profile losses of data via illegal copying, set off an alert that prompted an investigation. Eventually this revealed that in 2010, when Chen applied for a security job to become an army systems administrator, he did not reveal that he had joined the Chinese Army when he was 18 and served from 1971 to 1976. It was not unusual for Chinese men of that generation to have served in the military but leaving it off a security clearance application is illegal and raised more suspicions. Chen had received a degree in Industrial Automation from a Chinese university in 1981 and moved to the United States a few years later. No more details of this case have been revealed but as it stands now Chen could be sent to jail for fifteen years. The way these situations usually develop Chen and the government may be negotiating a deal that would have Chen spend less time in jail in return for more details about who he was working for or with. China’s forex reserves previously dropped by $40 billion during the second quarter of 2015, hitting a nearly two-year low. The levels began dropping for the first time in a decade in the third quarter of 2014, Xinhuanoted. China’s forex reserves now stand at $3.56 trillion – down from a high of $4 trillion in June 2014, but still accounting for around 30 percent of total central bank holdings around the world (which were valued at $11.43 trillion in March 2015). But some economists were actually relieved by the figures released on Monday – previous estimates for the drop in China’s forex reserves had soared as high as $200 billion, Reuters noted. As The Diplomat reported previously, Chinese President Xi Jinping announced last week that the People’s Liberation Army (PLA) will reduce its forces by 300,000 troops. Xi made the announcement during a speech just before a massive military parade in Beijing, held to commemorate the 70th anniversary of the end of World War II. While Xi framed the troop cut as part of the PLA commitment to “carry out the noble mission of upholding world peace,” military analysts agree the move is part of a broader context: the restructuring of the PLA as part of a push to modernize China’s armed forces. The troop reduction announced on September 3 fits in a long line of cuts and restructurings made since the 1980s. The PLA’s size has been cut four times since then–by one million in 1985, by 500,000 in 1997, by 200,000 in 2003, and now by 300,000. Wondering Why China Held Its Parade? Here Are 5 Things Beijing Accomplished. 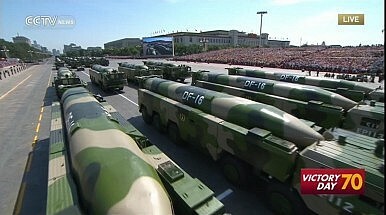 First and foremost, the successful military parade, once again, shows that Xi Jinping is the undisputed leader in China. He firmly controls China’s powerful military, despite some recent speculations that his position has been weakened by a struggling stock market and slowing economy. Other former state leaders also appeared alongside Xi, including Jiang Zemin and Hu Jintao, but the message is very clear that Xi is in firm control today. This is particularly important because Xi will push for some serious organizational reforms within the PLA in the near future, thus making the PLA a truly modern military that is capable of defending China’s national interests. Nuclear Armed Submarines: The Indo-Pacific's Great Destabilizer? 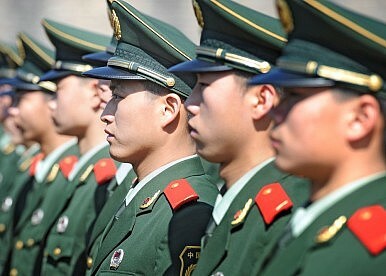 Last week in Beijing, China celebrated the 70th anniversary of the end of World War Two with a massive military parade. 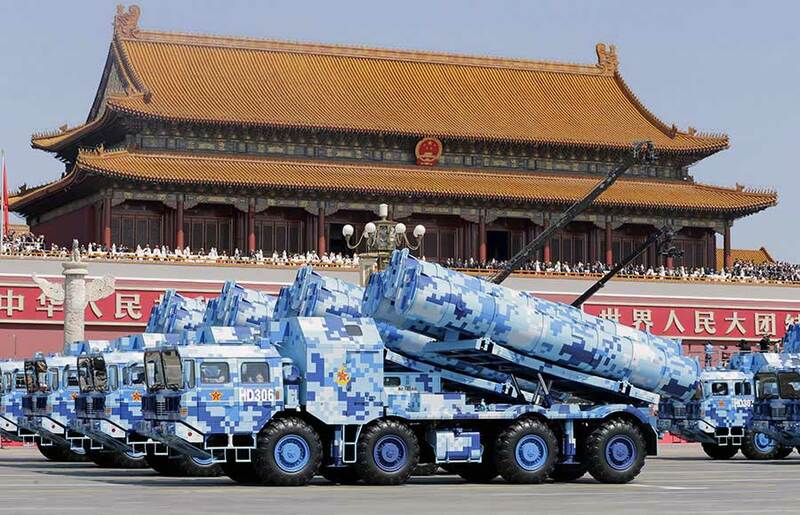 Examples of modern military equipment, such as the DF-21D ‘Carrier Killer’ missile, were displayed in public for the first time. However, a significant new capability that is moving from a lengthy testing phase to active deployment could not be shown in Tiananmen Square: the Type-094, or what will likely be China's first actively deployed ballistic missile-carrying nuclear submarine (SSBN). In the Indo-Pacific, China is not the only regional power that is investing in these powerful, complex and expensive strategic platforms. India, and potentially Pakistan and North Korea, are also at various stages of development. Among the three, India's program is the most advanced, with New Delhi launching its first SSBN, the INS Arihant in 2009. A second and third are also under construction. In a new Lowy Institute Report, Nuclear-armed submarines in Indo-Pacific Asia: Stabilizer or menace?, Rory Medcalf and I argue that over the long-term, SSBNs could reduce the risk of major war in the region, as no adversary would want to strike first against a country with so invulnerable a nuclear arsenal. For the past several years, there has been a persistent drumbeat in the mainstream press proclaiming the pending demise of the Grand Old Party. Most recently, a Los Angeles Times headline proclaimed: “Demographic trends favor Democrats, but GOP could still win in 2016.” The Washington Postweighed in with its own doom and gloom for the GOP: “Dems Head into 2016 with a Clear Demographic Advantage.” The theme of such analysis is that America is changing and the GOP cannot or will not compete for Hispanic, African-American, Asian, LGBT and millennial voters, who will give Democrats a lock on political power in America. 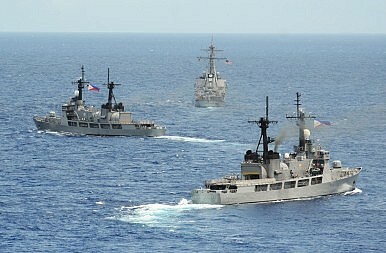 US and Philippine ships during CARAT Philippines 2014. According Willard Marine Inc., the U.S. State Department had awarded it a contract to provide the Philippine National Police Maritime Group with patrol vessels equipped for search and rescue operations along the country’s maritime borders. The move is consistent with efforts by the United States to build the capacity of its allies and partners in the Asia-Pacific such as the Philippines to tackle maritime security challenges. In addition to such assistance, Washington and Manila also inked an Enhanced Defense Cooperation Agreement in 2014 that, if approved by the Philippine legislature, would grant access to US troops, planes and ships in the country on a rotational basis. Much of the world still lacks clean, safe water. Progress on sanitation is falling far short of the United Nations' Millennium Development Goals. The scale of the problem is highlighted by India, where half the population - some 665 million people - still defecate in the open, and where most sewage, even from toilets, is dumped untreated into rivers and streams. Worldwide, contaminated water is implicated in85% of all illness. An even more pernicious problem with the world's water is widespreadcontamination with antibiotics, fuelling the rise of resistant superbugs. A recent survey in China, for instance, estimated that 53,800 tons of waste drugs are entering the environment each year, even after wastewater treatment. Meanwhile paraben, an antimicrobial preservative used in cosmetics, food and medicines, has now beendetected in Indian sewage treatment plants, and antimicrobial resistance is now seen as an increasingly serious threat to global public health. India needs to pursue reforms more effectively if it wants to benefit from the decline in China’s economy. The efforts to reduce ‘tax terrorism’ have smacked of two steps forward one step backward, undermining the credibility of government. 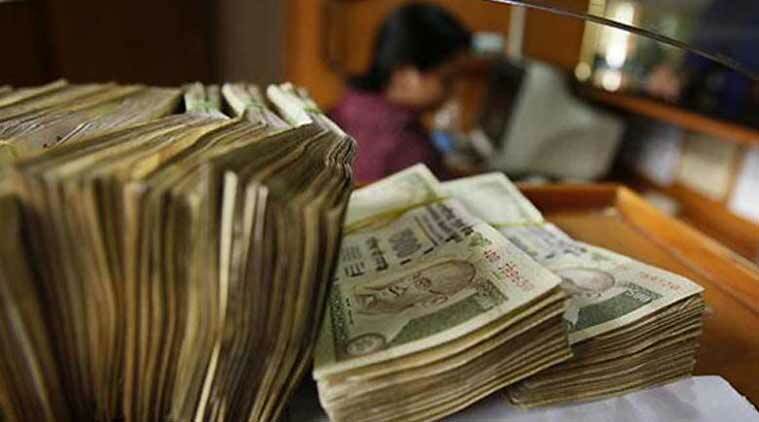 Indian gross domestic product (GDP) data seems to have become a constantly evolving puzzle. In February 2015, Ruchir Sharma, Managing Director and Head of Emerging Market Strategy, Morgan Stanley Investment Management, wrote, “the dramatic upward revision of the GDP growth rate is a bad joke, smashing India’s credibility and making its statistics bureau a laughing stock in global financial circles” and “Nobody really believes that the Indian economy grew at anywhere close to 7 per cent last year, and shockingly no one is willing to put an end to this nonsense.” I disagree strongly. The Department of Defense’s pivot to Asia has been well documented and debated, but the department is also pursuing a less discussed pivot toward commercial technology. Secretary of Defense Ash Carter’s recent visit to Silicon Valley highlights this growing anxiety throughout the defense community — that the commercial sector is the locus of cutting edge technology with military importance, but the department is poorly positioned to capitalize on this development. Carter’s trip demonstrates high-level interest in commercial technology within the Pentagon, as senior leaders like Carter, Deputy Secretary Bob Work and acquisitions chief Frank Kendall continue to push the organization to adapt. Big questions remain for this pivot, most notably whether or not the department will be able to undertake the necessary reforms to access the commercial technology it desires. But these are only the first order questions. Even if the department’s leadership succeeds in its pivot to commercial technology, how will the U.S. military maintain its unique warfighting advantages when using widely available technology? Seven teams from around the country have earned the right to play in the final competition of DARPA’s Cyber Grand Challenge (CGC), a first-of-its-kind tournament designed to speed the development of automated security systems able to defend against cyberattacks as fast as they are launched. The winners successfully squared off against dozens of other teams for the opportunity to compete head to head next year for nearly $4 million in prizes—and the chance to help revolutionize cybersecurity going forward. 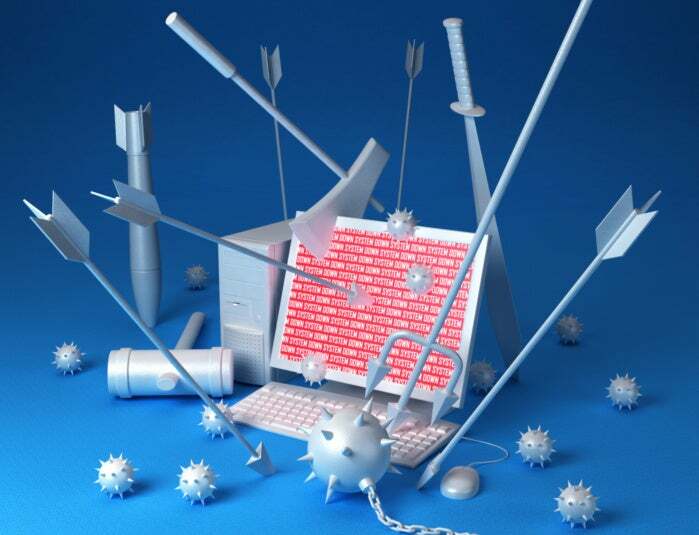 Computers are important for detecting known network vulnerabilities and the swarms of malicious programs that are constantly seeking to take advantage of those weaknesses, but cyber defense today still ultimately depends on experts to patch those weaknesses and stymie new attacks—a process that can take months or longer, by which time critical systems may have been breached. CGC aims to automate the cyber defense process to identify weaknesses instantly and counter attacks in real time. Out of 104 teams that had originally registered in 2014, 28 teams made it through two DARPA-sponsored dry runs and into last month’s CGC Qualifying Event. In that contest, teams tested the high-performance computers they had built and programmed to play a round of “capture the flag” (CTF)—a game that experts use to test their cyber defense skills. CTF games require competitors to reverse engineer software created by contest organizers and locate and heal its hidden weaknesses in networked competition. The CGC final event will take place in Las Vegas in August 2016, in conjunction with DEF CON, home of the longest-running annual CTF competition for experts. Halvorsen counts himself among the current 760-plus users of the DMCC-S, which connects to the Secret Internet Protocol Router Network, or SIPRNet. The Gulf Cooperation Council (GCC) seeks to portray itself to the outside world as a unified entity, particularly during periods of heightened regional instability, such as Saddam Hussein’s invasion of Kuwait and the 2011 Arab uprisings. Yet below the surface, the Council’s six monarchies are divided internally by historic rivalries, changes in leadership and a myriad of significant regional developments. The most significant current source of division among the GCC states relates to Iran’s role in the Middle East’s evolving geopolitical order. Strategic shifts in the regional balance of power following the P5+1 and Iran’s nuclear agreement are prompting the Council’s disunity to surface in new ways, further exposing the gap between Gulf Arab unity on paper and in practice. 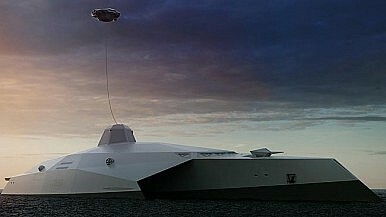 Dreadnought 2050: Is This the Battleship of the Future? Locally 3-D printed drones, a 3-D holographic command table, “supercavitating” torpedoes evaporating the water around them, laser weapons and an electro-magnetic railgun are just a few of the features of the battleship of the future, according to a team of young British engineers. Designed as part of an informal challenge by the U.K. Ministry of Defense (MOD) and Royal Navy, the concept ship — dubbed the Dreadnought 2050 (the original HMS Dreadnought was a Royal Naval battleship commissioned in 1906, “which represented such an advance that all other major warships were rendered obsolete” according to a press release — is a trimaran made of ultra-strong acrylic see-thru composites and powered by a fusion reactor or highly efficient turbines rendering it an extremely silent and quite deadly stealth vessel. 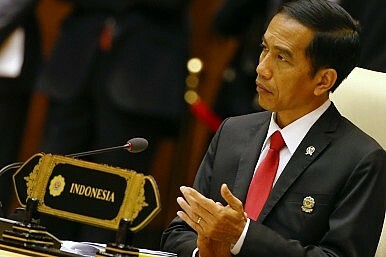 Is Jokowi Turning His Back on ASEAN? Under President Joko “Jokowi” Widodo, Indonesia appears less oriented toward the Association of Southeast Asian Nations (ASEAN). While this may be true, the explanation is more nuanced than proposed by many regional analyses. Many observers see Jokowi as more inward-looking than his predecessor, Susilo Bambang Yudhoyono, and point to his lack of foreign policy experience. I would argue that Jokowi is, in fact, not less oriented than Yudhoyono to Indonesia’s foreign relations as a policy priority; rather, he approaches it differently, for reasons that reflect a distinct approach to contemporary East Asia. Indonesia under Jokowi is less oriented towards multilateralism in general. Yudhoyono emphasized Indonesia’s role in international organizations, including the G20 (in which Indonesia is the only Southeast Asian member), the World Trade Organization, and the United Nations. He also sought to advance Indonesia’s role in regional forums, including ASEAN, the Asia-Pacific Economic Cooperation and the Bali Democracy Forum. His Foreign Minister, Marty Natalegawa, pointed to the importance of Indonesian diplomacy in “high-level forums” as helping to address challenges which require international cooperation (such as food security, natural disasters and transnational crime). An important indictor to judge a country’s financial health is the behaviour of the Stock Market Index. 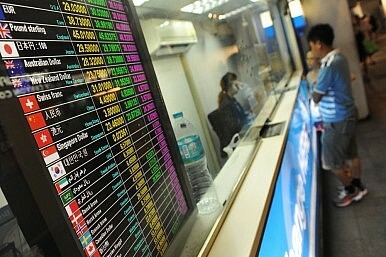 All over the world, investors in stock markets trade on the basis of both analysis and speculation. On many occasions stock prices fluctuate in a matter of seconds, involving enormous financial transactions. Individual stock prices are influenced by information released by publicly listed companies about their business plans, deals, mergers and acquisitions or balance sheets. Many brokers are keen to acquire information about a company’s profile well in advance before it is made available officially. This helps them earn profit by trading appropriately and for making investment decisions. Some people do use unfair practices (such as insider trading) to acquire such knowledge in advance. The present generation of stock market operations is fully IT enabled. In this digital era, critical information traverses through various computing resources and communication channels, processed, stored or disseminated both internally and externally. In one technically savvy insider trading practice, an amalgamation of hackers and fraudsters has startled the U.S. Securities and Exchange Commission. Hackers were able to gain access to the release data on the servers of distributors such as Business Wire, Marketwired and PR Newswire. Equipped with this information, a little ahead of the time it went public, investors traded on stocks and made extraordinary profits. Cyber war is often in the headlines. The hype centered on state sponsored malware means that the lines defining fact and fiction often become blurred leading to increasing fear bordering on hysteria. However, cyber weapons have a very specific weakness that means that they might be less effective than anticipated in the real world. The discovery of Stuxnet in 2010 and the subsequent information leaks confirming that the trojan was indeed a state sponsored malware designed to damage the nuclear processing infrastructure of an independent nation showed that cyber weapons were no longer a theoretical issue. Developing such malware takes a lot of resources and skill. There are many stages in the life cycle of the malware that must be completed before any putative cyber weapon can be described as having successfully completed its mission. Nice nations don't retaliate, but the more hackers steal, the harder it is to maintain that stance. WASHINGTON—Fight back, critics argue, as the U.S. government faces increasing cyber attacks, with rival nations as the most likely suspects. 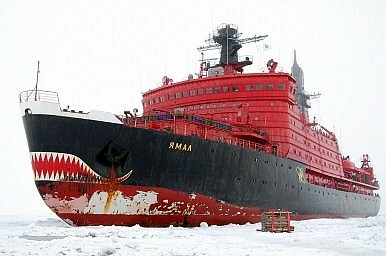 A passive approach by the U.S. government only emboldens perpetrators—draw a red line, they urge. Most recently, the massive Office of Personnel Management breach has inspired calls for a decisive response. 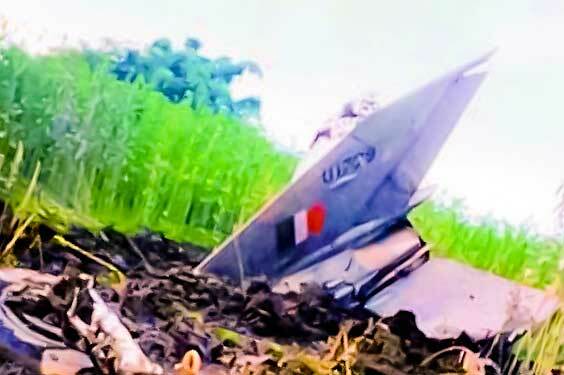 The time is not too far when Pakistan will itself stop threatening India with nuclear toys and China won't measure its strength by missile technology as India is all set to become a missile-proof country where no uninvited missiles could dare to touch Indian soil. The time is not too far when Pakistan will itself stop threatening India with nuclear toys and China won't measure its strength by missile technology as India is all set to become a missile-proof country where no uninvited missiles could dare to touch Indian soil. Indian scientists are working on a top secret project under which the smartest military weapon of the 21st century is being developed which is named after Hindu goddess Kali. In Scientific term, KALI stands for 'Kilo Ampere Linear Injector'. www.DefenceNews.in brings you an inside update on how the world's deadliest weapon system works. It is designed to work in such a way that if an enemy missile is launched in Indian direction, it will quickly emit powerful pulses of Relativistic Electrons Beams (REB) and destroy the target in no time. Unlike laser beams, it does not bore a hole in the target but thoroughly damages the on-board electronic systems. When writing business documents (aside from emails), most people turn to word-processing software. That’s not the only option. You can do everything — outlines, drafts, revisions, and even layouts, if you’d like — in PowerPoint or similar presentation programs. I can brainstorm with abandon. Because PowerPoint is so modular, it allows me to block out major themes (potential sections or chapters) and quickly see if I can generate ample ideas to support them. In early stages, each slide resembles a Pinterest board, with a simple but descriptive title, some rough text, and a few sketched or found images that clarify the concepts. If I can’t produce enough insights for a particular theme, I abandon it before spending too much time crafting language. It’s easy to drag individual slides to the end of the deck, in case I’d like to revisit them later, or just delete them. Below you can see an excerpt from the PowerPoint draft of my second book, Resonate. Every slide represents a two-page spread. The content is much denser than it would be on a typical slide, but that’s okay because it’s meant to be printed, not projected. And anyway, it’s a work in progress. WASHINGTON, April 9, 2015 — The United States must maintain technological superiority over potential adversaries and competitors, and the latest iteration of the Defense Department’s Better Buying Power initiative is designed to maintain that edge, Deputy Defense Secretary Robert Work said here today. Called Better Buying Power 3.0, the program builds on previous versions, Work told Pentagon reporters. Other countries have been investing heavily in advanced capabilities, DoD’s acquisition chief said, while the U.S. military’s modernization account has been the department’s emergency fund. Frank Kendall, undersecretary of defense for acquisition, technology and logistics, added that modernization dollars have been raided to pay for readiness in the face of sequestration and flat budgets. An Army officer reflects on an oft-repeated and inaccurate maxim. I have killed people and broken things in war, but, as a military officer, that was never the end. There was a purpose, a reason, a goal. Always. My country, profession, and family demand this, as is the case for all in uniform. So when, in the first Republican presidential debate earlier this month, former Arkansas Gov. Mike Huckabee responded to an open question from moderator Bret Baier on the “changing” culture of the American military by saying, “The purpose of the military is kill people and break things,” the audience applause appalled me. The military’s purpose is not to kill people and break things. This idea is factually, historically, professionally, and philosophically wrong — and must itself be remorselessly killed and violently broken. This 11-word platitude has no place in modern society. Inbox bursting at the seams? Trying to decipher a message chain that goes back so far you’ve forgotten the original message? Enough names on the "reply-all" line to staff a battalion? While some recent military email-related concernshave made headlines, most just cause headaches or slow down servers. For instance, a popular thread on the social-media site Reddit last month tracked the progress of a noncommissioned officer's errant personal message that reportedly spread across the Army via a large distribution list that had nothing to do with the email's contents. An Army public affairs official couldn't confirm the email's authenticity, but the service is no stranger to such stumbles, according to officials with the Army Knowledge Management Proponent Office. That agency, part of the Combined Arms Center, is charged with educating the force on proper email protocol, among other information-management duties. Australia's New Submarines: Run Silent, Run German? Germany’s bid for Australia’s SEA 1000 Future Submarine project could reasonably be described as coming from a safe pair of hands. Since 1960, ThyssenKrupp Marine Systems (TKMS) through its Howaldwerke-Deutsche Werft (HDW) subsidiary has delivered 161 diesel-electric submarines to 20 navies. Of this total, 123 have been built for international customers —including six NATO navies—51 of them in South Korea, Turkey, Greece and Brazil. Notwithstanding the company’s experience, TKMS has yet to construct a submarine in the 4,000 tons range that’s generally regarded as the size needed to meet Australia’s requirements. That isn’t seen as a problem by TKMS, whose designs have steadily grown in size and capability to meet customers’ specifications.